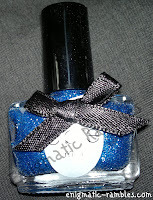 Glass Slipper was behind door number 18, and it one of the exclusives to the Ciaté Calender. 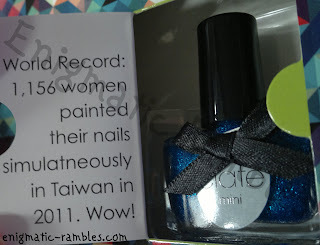 The message of the day is fun as well as relevant to the world of nail polish. I don't think that is that many women and so it would easily be beaten. 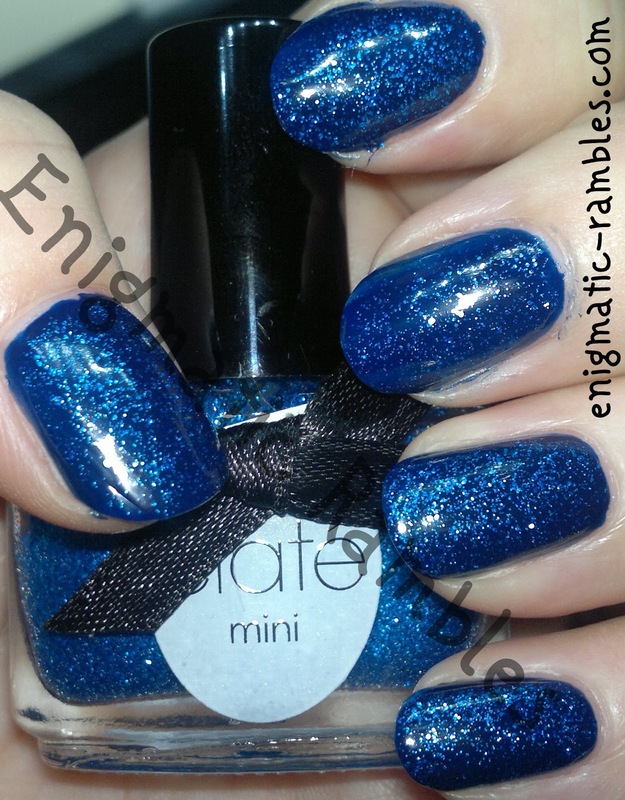 Glass slipper is a blue glitter in a clear base which means you can use it on top of another polish. For my swatch I used Ciaté Power Dressing. It is really densely packed and in the swatch it is just one coat. Only this I noticed was the smell of the polish, it was really pungent! Could have done with a snowflake or two to turn it in to something better for this time of year.